Hardwood Floor Installation - Create A Cozy Atmosphere With Our Services In Danbury | Zoltan European Floors, Inc.
From old to new homes, hardwood floors are always a fantastic idea to implement in any type of residence. They create a cozy, warm, and inviting atmosphere regardless of the age or the square footage of the house. If your home is newer, then hardwood floors will add a more antique vibe to it. If your house is older, then hardwood floors will give your residence an even more old world feel to it. 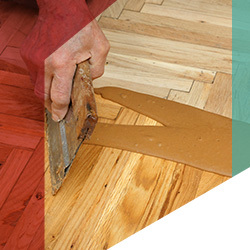 If you’ve wanted to renovate the flooring in your home for awhile, then you’ve come to the right place to get started. At Zoltan European Floors, Inc., we’re happy to tell you that we offer hardwood floor installation that will enhance the beauty in your residence. As Danbury’s Top Rated Local® Flooring company, our hardwood floor installation is high-quality with an outstanding and desired outcome. We strive to offer an array of flooring services that will give your home the vibe that you want. What sets us apart from other flooring companies around the Danbury area is that we’ll work with you to figure out what is right for the function and style in your residence. We’ll answer your questions and educate you on whether the hardwood flooring you picked out is the right type for you. For friendly customer service and quality flooring, don’t hesitate to reach out for a hardwood floor installation. There are numerous advantages to having a hardwood floor installed in your home. While these advantages are important to keep in mind while you’re shopping for the hardwood flooring of your dreams, it’s just as important to keep in mind some facts about hardwood flooring. For example, even though you may love hardwood flooring, that doesn’t mean you should put it in every single room of your house. There’s is such thing as too much hardwood flooring, especially in a home in Connecticut. Another fact to remember about hardwood flooring is that it can be difficult to clean, so if you absolutely abhor cleaning, then perhaps consider a different type of flooring. The first advantage of hardwood floor is that it is very aesthetically appealing. There’s a reason that so many people want to install hardwood floors in every single room in their Danbury home. In any type of home, hardwood floors will add a warm and inviting atmosphere. Additionally, you can have any type of furniture or art decor when you choose hardwood floors. You can make hardwood flooring look more modern or turn it a little more vintage. Essentially, hardwood floors can go with any home no matter the decor without destroying the aesthetic look of it. The second advantage to having hardwood flooring is the durability of it. You never hear about anyone needing to replace their hardwood floor every couple of years. When you have hardwood flooring, you don’t have to worry about changing it unless it’s your choice to do so. Lastly, there are so many different styles of hardwood floor. From distressed wood paneling to mahogany, you’ll find a little extra something to make your floor different than anyone else’s. Even though a majority of your friends or family may have hardwood flooring, that doesn’t mean every single floor is the same. Add a little individuality to your hardwood floor when you decide on an installation through Zoltan European Floors, Inc.
What you need to know about hardwood floors is that they are authentic, gorgeous, and completely organic. 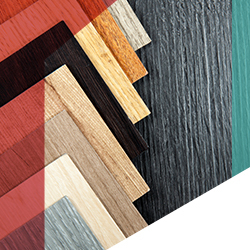 You can choose from a variety of types of flooring that will cater to your specific needs. If you’d like to have a home that’s a bit more modern, then we’ll help you figure out the best types of flooring for you. Regardless of the vibe you want to go for in your home, there are many different options that will meet your needs. Oak, maple, mahogany, and even more exotic woods such as acacia and tamarind are all different styles you can have for your hardwood flooring installation. Additionally, you can pick different colors – darker or lighter – and choose to have your flooring prefinished or site-finished, which we’ll touch on a bit below. When you want to redo a room in hardwood flooring, you’ll need to ask yourself one of the more important questions and balance the pros and the cons of it. Do you want site finished or prefinished wood? While you may be leaning more toward one than the other, you should be aware that each option has an advantage. Site finished is thought to not move because it’s completed sealed in, but that’s not always the case. 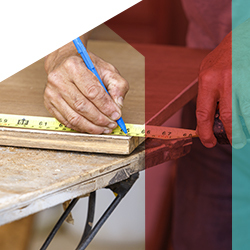 Wood is meant to expand and shrink depending on the humidity in your area or during the day. This means that site finished flooring can be much more noticeable when it comes to the gaps in the flooring because of side bonding. Side bonding is something that only occurs with site finished floors because of how they meld together and how there are gaps in the finish that create a weak point in every few boards. However, site finished boards are beneficial because they are easily repaired and they do not fade or discolor over time. Prefinished floors, on the other hand, are more durable and take less time to install. They also have very little mess and a better finish. Some people think that prefinished floors are better because they generally come with a warranty for the coated finish and the finish looks a lot more pristine. People also think that prefinish is a more viable option because it’s more beautiful due to the natural look of the hardwood being brought out more. Just like there is site and prefinished, there are also different cuts for hardwood flooring. The cut of wood is the way that it’s sliced from the tree. When it comes to hardwood floor, there are two types of cuts that your wood can have. There’s flatsawn and there’s quartersawn. Flatsawn is the type of cut that allows the ring growth to show. This look is a lot rougher and is parallel with the face of the planks of wood. This rougher cut is great for homes where you want more grain in the pattern of the hardwood. This very distinctive look has a flame-like appearance and the pattern allows the growth rings to be shown off. On the other hand, a more simple and sleek look is the quartersawn cut. This more expensive cut has a straight grain and you’re not about to see the growth rings as prominently. In fact, the growth rings tend to be more perpendicular to the face of the wood in comparison to the flatsawn look that’s a bit more irregular. Another feature of hardwood to consider is the grading. The grading, for those who are new to picking out hardwood flooring, is the type of knots that are in the wood as well as the color variations in each of the planks. There are many different types of grading and it’s up to you to decide the best type for the needs of your house. There is the natural grading, rustic grading, and then there is select. Each of these types of grading can offer the appearance of flooring in your home a little something different. The grading also depends on the types of defects they have. For example, select grading has very few defects and has more of a sleek and simple look. Every plank is straight and the same color. Then there’s natural grading, which has some defects. It has some character, but it’s not an overwhelming amount that it would distract the eye. Lastly, if you want more of a rustic feel to your home or the area you’re redoing, then rustic grading has a lot of character that will add something more to any flooring. With knots and color variations, the rustic look has more character. Of course, you’ll want to keep in mind that the type of defect varies based on the species of the tree that’s being used of the hardwood floor. When it comes to style, there are three prominent types. The first one is strip flooring. Strip flooring is about three inches wide or less for each plank. The effect of strip flooring is much more linear than you may be used to. This linear effect is a much more traditional type of flooring. The next type of stylish flooring is the plank type. In comparison to the strip style, the plank style is larger than three inches. These larger planks have a linear effect as well; however, the effect is much more casual than the strip flooring option. The plank flooring gives the room a much more laid back look than the more traditional and classic strip flooring. Lastly, parquet flooring comes in many different sizes. If you want to add some dimensions and go for a geometric look, then the parquet flooring is great for designing a floor that’s eye-pleasing. This nonlinear look can be done with planks that are in a simple or a complex design. As you probably know, there are many different types of wood species. There are so many that you’re probably feeling a little overwhelmed with the selection. While we want to give you as many options as possible to ensure you’re making the right choice for the flooring in your home, we’ll only name a few so you know where to start. To learn more about the different species you can have in your home, it’s best to talk to a professional at Zoltan European Floors, Inc. Some of the more popular species are lighter ones such as maple, medium ones like oak, and darker hardwood floor species such as walnut. Depending on the type of look you want to go for, you’ll be able to narrow down your species. It’s important to keep in mind that each species that you consider has its own natural characteristics. Some species will have a different appearance with more defects and more character in it. The natural characteristics come down to mineral streaks, knot holes, and grain variations. Keep in mind that the species that you choose will help the decor in your home and enhance the appearance of your home. In addition to the different species that you can use for the flooring in your home, you also can choose between a more classic or an exotic look. As we mentioned, there are many different types of species, so it’s important to decide if you want to get a more classic appearance or a wood that’s more exotic. Classic wood species will add a more common look to your home. There is strained red oak, which has more of a crimson tinge to it in comparison to another classic called black cherry, which has a lighter coloring. Stained red oak is very common in most homes and black cherry has a nice finish with a natural cinnamon tint to it that will become darker and darker with age. On the other hand, you have exotic hardwood options that will make any home look fantastic. The exotic options are more tropical trees that are rich in color and very hard. These hardwood options can come in anything from black acacia to Brazilian redwood. Black acacia has a clear finish on the top of it with a golden tone and stained hardwood. Brazilian redwood will have a deep russet color that has a subtle grain and won’t take away from the look of your room. It will only add to the decor. For more information on exotic hardwoods, make sure to speak to a professional at Zoltan European Floors, Inc. The color of hardwood is a crucial addition to any home. While style, grading, cuts, and species are important, the coloring is what will pull your entire home together. Choosing the colors for hardwood floors comes down to what atmosphere you want to instill in the area of your home you decided to renovate. For example, if you want a warmer vibe with lighter decor and furniture, then classic shades of taupe, light grey, and golden may be the best coloring choice for your residence. On the other hand, if you’d like to go darker, then chocolate and deeper greys and browns can be the ideal choice. With so many amazing shades to pick from for your flooring, it can be difficult to determine how rich or how flaxen you’d like to go for coloring, which is why you can always count on Zoltan European Floors, Inc. to help you choose the hardwood flooring tone that’s perfect for your abode. Hardwood flooring installations are not as time-consuming and expensive as you may think. While they can turn into an overwhelming situation quickly if you decide to do it yourself, when you hire professionals, you don’t have to worry about not knowing the best way to lay the floorboards. Instead, we’ll smooth out all the little details for you and all you need to do is make the major decisions. 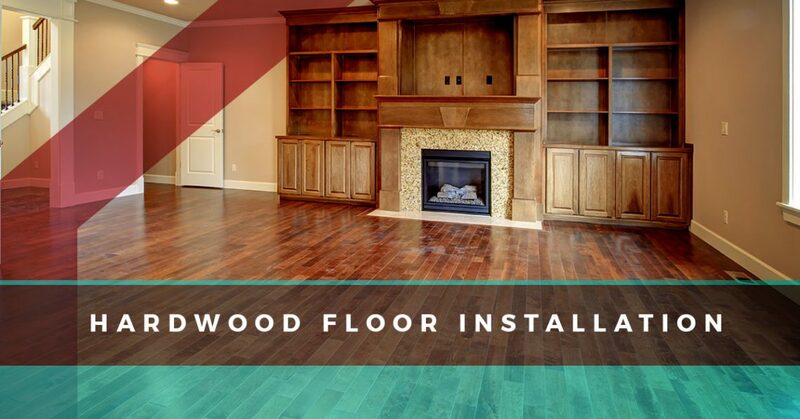 The installation process is efficient and effective when you hire a professional who knows how to fit each floorboard the way they should be. When you hire Zoltan European Floors, Inc., you’ll be working with professionals who will ensure each floorboard is laid perfectly. We’ll settle on a time that works best for you and then we’ll get started at your convenience. By choosing Zoltan European Floors, Inc., you’ll be satisfied with our work and impressed with our customer service. One of the most important decisions about getting your floors redone is choosing the room that it’s going to go in. You may decide that you really want to redo your flooring in your home, but it’s vital to note before you start on this endeavor to have a room in mind that you’d like to renovate. Also, you should avoid putting hardwood all over your house. It can be overwhelming. This type of flooring works best in home offices, master suites, living rooms, and dining rooms. It’s best to keep hardwood flooring away from areas that are exposed to water such as the foyer, laundry room, bathroom, and even the kitchen. These areas aren’t conducive to hardwood flooring because the water that’s tracked in from outside or spilled in the kitchen can warp the boards and ruin them. One of the facts we mentioned above about hardwood flooring is that it needs to be cleaned more frequently than other types of flooring. 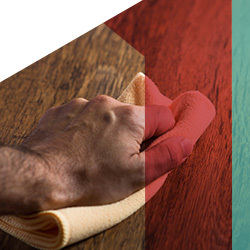 Caring for your hardwood flooring comes down to the type of finish that’s on the boards. A finish that’s made of wax will be similar to caring for a floor that’s coated with polyurethane. Floors that are waxed should be cleaned with products that have a compound of wax so that it can lift the dirt out. Floors that are finished with polyurethane should be cleaned with water and vinegar. Even though hardwood flooring takes a little extra oomph when it comes to maintenance, it’s worth it because of the longevity. If you decide that you truly want hardwood flooring, then it’s time you do some research on the species, colors, and styles you’re interested in implementing in your home. Before you start the process of installing brand new hardwood flooring, you’ll want to talk to a professional to ensure that what you’re thinking will be perfect for your residence. If you have no idea what you want, then take the time to come into Zoltan European Floors, Inc. and talk to a professional. We will go over what you can expect with a hardwood floor installation, what rooms it would look perfect in, and how to create the look you want without going over your budget.